3DMuseum.org 2.0 » Dimetrodon sp. This is a skull of the Permian predator Dimetrodon. 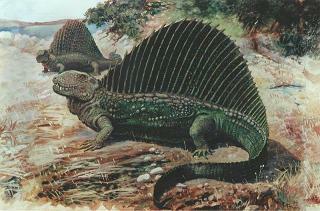 While sometimes known as a “mammal-like reptile” this animal was much more closely related to mammals than reptiles.